Friends, as of February 1st, 2019, EndGame is no longer in business. The store website will remain up indefinitely to maintain our email addresses but will no longer be updated. Anyone with official business to conduct with the owners should contact them directly. 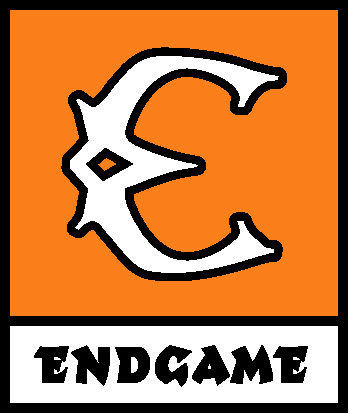 EndGame was more than just a retail store to all of us for nearly 20 years - it was a community hub, and part of the very fabric of hobby gaming in the Bay Area since 2001. We may not have been the biggest, but we tried to be the best, or at the very least do our best to support our corner of the Bay Area gaming community (and everyone who wanted to come visit) every day of the week. Of all the goals in EndGame's mission statement, serving the community was the one victory condition we think we achieved and exceeded all the time. And what a great community! We have met and become friends with so many great people. We have seen people who met each other through the store get married, we've seen kids grow up, graduate from college and start families of their own, and sadly, we've even said a final goodbye to some. For all of us on the staff, whether owners or part-timers, the store has been a big part of our lives. We've all been through a lot of changes and difficult challenges over the years, but the one constant was the store - and more importantly each other. EndGame will be gone, and we will move on to other things, but our friendships will endure. No matter where you end up, we hope that you will all continue to meet each other to play games for a long time to come. And when you do, raise a glass to EndGame!